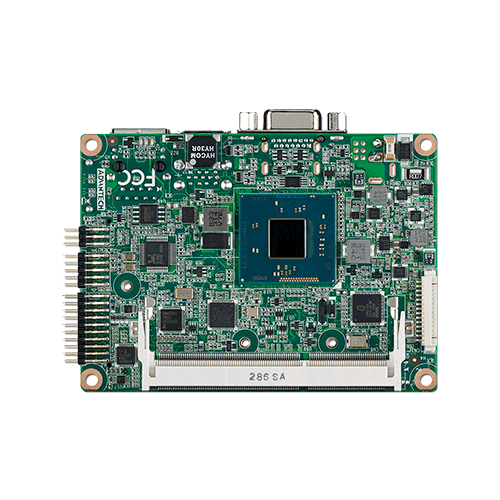 The PCM-9373 is a VIA low-power Eden processor single board computer (SBC) with audio controller, a 4X AGP SVGA controller, a PCI 10/100 Base-T Ethernet interface, 2 Channel LVDS interface, and one PC/ 104 expansion connector. The PCM-9373’s design is based on the 3.5" HDD form factor that provides a convenient connector layout for easy assembly, more efficient cable connections, and better overall embedded system integration. When using a VIA Eden processor, the PCM-9373 achieves outstanding performance that surpasses most SBCs in its class. 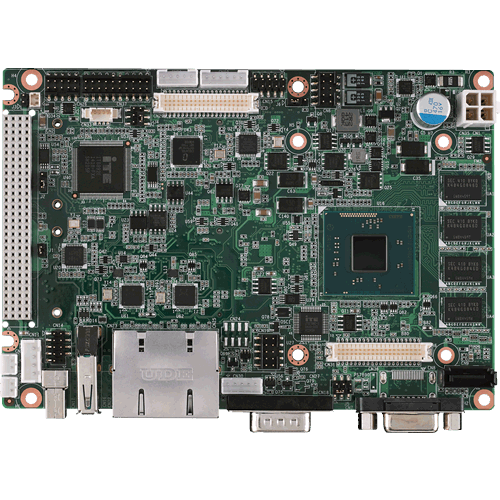 The PCM-9373 is a VIA low-power Eden processor single board computer (SBC) with audio controller, a 4X AGP SVGA controller, a PCI 10/100 Base-T Ethernet interface, 2 Channel LVDS interface, and one PC/ 104 expansion connector. The PCM-9373’s design is based on the 3.5" HDD form factor that provides a convenient connector layout for easy assembly, more efficient cable connections, and better overall embedded system integration. When using a VIA Eden processor, the PCM-9373 achieves outstanding performance that surpasses most SBCs in its class. This compact (only 5.7" x 4") unit offers all the functions of a single board industrial computer, but still fits in the space of a 3.5" floppy drive. On-board features include, two serial ports (one RS-232, one RS-232/ 422/ 485), one multi-mode parallel (ECP/EPP/SPP) port, two USB (Universal Serial Bus) ports, a floppy drive controller, and a PS/2 keyboard/mouse interface. The built-in high-speed PCI IDE controller supports both PIO and UDMA/100 bus master modes. Up to four IDE devices can be connected, including large hard disks, CD-ROM drives, and tape backup drives. The PCM-9373 features power management to minimize power consumption. It complies with the "Green Function" standard and supports Doze, Standby and Suspend modes. In addition, the board‘s watchdog timer can automatically reset the system or generate an interrupt if the system stops due to a program bug or EMI. The real estate is well-packed on this tightly designed half-EBX single board computer (SBC) with an onboard VIA Embedded low power Eden or C3 EBGA processor. 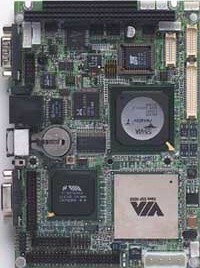 The VIA Eden processor uses advanced 0.15µ/0.13µ CMOS technology with 128KB L1 cache memory and 64 KB L2 cache memory on die. This board can operate without a fan at temperatures up to 60° C (140° F) and typically consumes under 12 Watts while supporting numerous peripherals. This SBC includes a 4X AGP controller, an AC'97 audio interface, a PCI Ethernet interface, and 2 channel LVDS interface. Its design is based on the half-EBX SBC form factor that supports the PC/104 interface for ISA module upgrades. Other on-board features include a printer port, 2 USB ports, and 2 serial ports: 1 RS-232, and 1 RS-232/ 422/ 485. The SSD solution supports CompactFlash™ cards both Type I and Type II.